Managing the life cycle of any product is demanding, and it’s not getting any easier as user requirements are increasing and become more complex. Product lifecycle management (PLM) reflects this complexity with its many processes and need for collaboration and quality control that must be flexible and responsive to meet the accelerated pace of innovation. It also needs to be integrated into an enterprise resource planning (ERP) system with the necessary underlying infrastructure and support by a broad spectrum of expertise. As part of our Oracle practice, Supra ITS has developed a highly-skilled Oracle resource pool that includes agile PLM expertise to help our customers develop and deploy products in a compressed time frame while reducing cost of ownership. 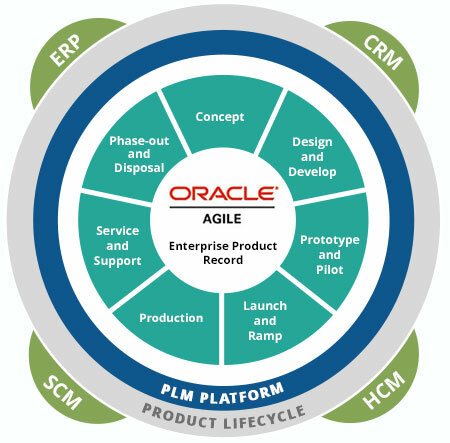 Our Oracle Agile PLM and Master Data Management (MDM) competencies span a wide array of implementation activities, including installations, configurations, integrations, end user training and custom solutions. Supra ITS has particularly specialized in integrating agile PLM with Oracle Business Intelligence to develop custom dashboards and reports. Supra ITS’ Oracle Agile PLM experience and expertise helps you make better product portfolio decisions, collaborate across stakeholders and supply chain partners, and manage compliance. We integrate enterprise PLM with your existing Oracle investment, so you efficiently centralize product data, streamline processes, and launch quality products faster.